The Siegi Tours Ski School Red White Red in the Sporwelt. You are a total beginner never been on skis before or want to improve your technique? Or are you an expert who wants to follow a top ski guide around the area’s most challenging runs? Or do you just want to explore the huge variety of the beautiful vast ski and snowboard area with your friends and your own ski guide, who knows the best off piste powder trails, spectacular mogul fields or even the friendliest ski huts with excellent Austrian food for a break if you feel like it? A week at Siegi`s is the answer! Ski & Board the Austrian Alps with the Siegi Tours Ski & Board School Red White Red! On the first day you will hit the mountain and meet with all the other ski and snowboard fans at the entry of the ski kindergarden of the Siegi Tours Ski & Board School Red White Red at the top of the gondola station in Alpendorf. 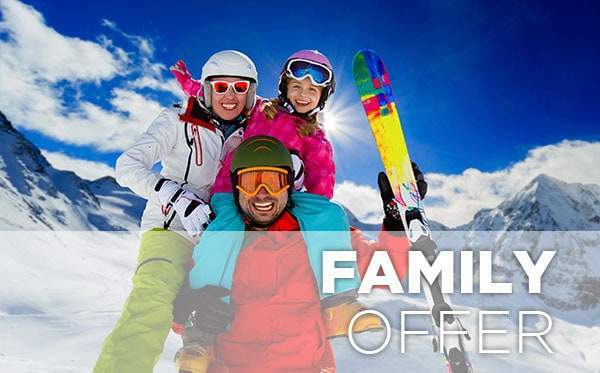 A Family ski holiday with Siegi Tours in Ski Amadé! Children with at least 3 years of age will also have the opportunity to learn how to ski at Siegi’s. They will be instructed by friendly, experienced and caring ski instructors, who will pass on the skiing technique with lots of fun games, assisted by the magic carpet, the merry – go round, the Indian tent and much more. Your child will love it! The Siegi Tours Ski & Board School Red-White-Red offers a fenced in ski ground for the little ones’ safety. So you may leave your children at 10:00 o’clock in the skilled hands of the ski instructor and pick them up again at 3 p.m. as the ski instructor will be happy to watch your child over the lunch hour (12 – 1 p.m.) as well if you wish. Please note that it is not the age but the maturity of your child that matters whether he/she is really ready for 4 hours of ski lessons per day. Let’s check it out on the first day! Don’t miss the special kiddy race at the end of the week! The Kids learn the basics of skiing in a safe spot. FUN GUARANTEED!!! Magic Carpet Lift- the safe way up. Ski – Caroussel – easy turning. Big Tent – to warm up and play. With the loving care of the ski instructors, the kids will have a lot of fun when improving their ski technique. The ski school race is always great fun. Followed by the pricegiving ceremony. Medals and cups are waiting for the best! Need more info or help!!! The Siegi Tours Team will be happy to assist and advise you when ever necessary. Children’s Snowboard School in Alpendorf for Kids from 7 years of age on. Meeting point and beginners practice area at the ski school red white red – top gondola station. Office, shop and hire directly at the gondola or ski stadl. All instructors speak English and German. Dutch and Danish snowboard instructors are also part of the team. Advanced Snowboarders can join existing courses daily depending on availability. Saturdays there are normaly just private lessons. All our snowboard courses start at the ski school red white red – opposite the top station of the gondola. All participants will be allocated into the right groups. It’s always possible to change groups if progress is fast. Introduction course: To learn to drift the turn on a flat terrain – riding the different lifts – achieved in a short time. Intermediate course: Short turns and improving the technique for carved turns. FREESTYLE BASIC: Take off and land safely, slopestyle, simple grabs. FREESTYLE PRO: Grabs, slides, technique training, new tricks. You will learn the best carving technique from the first minute on. After a week of fun ski lessons with our highly qualified ski instructors, you will be able to ski safely on blue and easy red ski runs on the mountains of Alpendorf. 4 hours per day: from 10.00 am to 12.00 and from 01.00 to 03.00 pm. The beginners ski course will start on Sunday or Monday. Meeting point ist the Siegi Tours Ski School Red White Red opposite the top station of the gondola at 09.45 am. Total beginners are all those who have never been on skis before. No previous knowledge necessary. One of the pro ski instructors will look at your present ability and will show you the necessary tricks so that you will make a fast progress. With shorter skis you can turn easier at low speed. At the Siegi Tours Ski Stadl you can rent the best equipment. Depending on your progress, it is also possible to change to longer skis during the week. Success guaranteed. Improving your own ability means also improving safety. Ski lessons are a lot of fun. The ski school is teaching the latest ski technique, according to the teaching plan of the Austrian Ski School Association. For advanced skiers who want to perfect their skiing. Carving is a refinement of the cut turn whilst skiing. The pro ski instructors will teach you the necessary technique and help you to find the best ski material for your needs. Instead of drifting or sliding through the turns, you will carve the turns on the edges of the skis. The edges of the skis are leaving a clear track in the snow. This technique called carving comes from engraving the tracks. 2 hours of intensiv carving lessons. In two hours you will learn how to handle the new ski models and perfect the cut turn to experience this incredible carving feeling. For this program you need to be in good shape and technically a level II skier or snowboarder. A top pro will lead you to the best freeride spots. Great fun. We show you the best spots and slopes of the Sportwelt Amadé! Are you in Alpendorf for the first time? Alone on holiday or do you simply want to spend a nice day with others? With our instructors and the ski groups you will not only discover the best skiing spots also the best ski restaurants. An unforgettable experience! 860 km of prepared ski runs. You will be visiting 15 different ski villages with a lot of tradition, always guided by a certified Austrian ski instructor who knows everything about the beautiful Austrian Alps, the runs off piste and great powder skiing. No extra charge! The Ski Safari is also included in the Siegi Tours package. 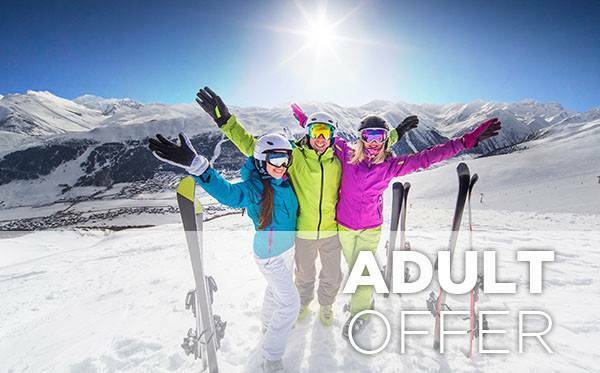 To make most out of your holiday and to explore the unique Ski Amadé, Siegi Tours gives you the opportunity to book your personal ski / snowboard guide in advance! He knows the area like his pocket and will be flexible and happy to follow your expectations. Your ski / snowboard guide also knows lots of insider tips concerning the most cosy sometimes hidden ski huts and cool aprés ski spots to rest, eat, drink and enjoy Austrian specialities. 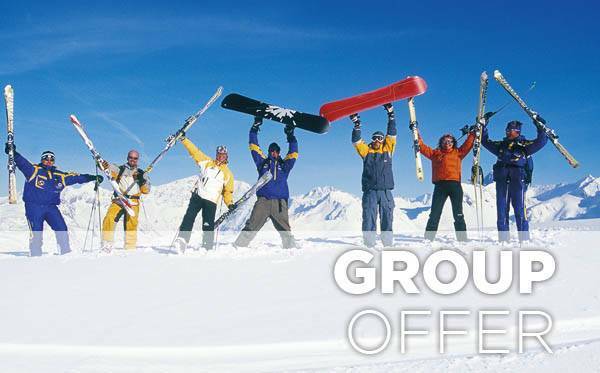 Possible groups: same ski / snowboard level, different levels, mix of skiers and snowboarders in one group… you choose! No extra charge! Ski guiding is also included in the Siegi Tours Package. Need more info or help!!! The Siegi Tours Team will help and advice you. If you are a newcomer or advanced snowboarder, our highly qualified snowboard instructors will improve your technique. The snowboard instructors will show you the unlimited possibilities in the world of freestyle! Cross-country skiing becomes more and more popular nowadays, especially among the younger generation. We are very proud of our local Olympic Champion Michael Gruber, who won the gold medal in the Nordic Combination. St. Veit and the near surroundings offer everything a cross-country skier’s heart desires, may you be a beginner, intermediate or expert. More than 70 km of great cross –country loips are close by and if you still want more, no problem! The Ski Amadé is waiting with 714 km of cross-country action. Beginners and experienced skiers alike have the opportunity to discover totally new aspects of the cross-country experience during our special cross-country week. Take advantage of our great cross-country instruction and be prepared for a fun adventure on our beautiful sunloips. A minimum number of 8 participants in the group is required. No extra charge! Cross – country instruction is also included in the Siegi Tours Package. and everything will be ready and firmly reserved when you arrive. Be assured that our experts will put together the perfect ski or snowboard set according to your personal needs. Fun is the most important thing. The children will learn to ski in a playful way and in safe surroundings. For advanced children, the main priority is to improve their ski technique with a lot of fun lessons. AT WHAT AGE CAN KIDS START SKI SCHOOL? The kids can try to start skiing in the ski-kindergarden when they are 3 years of age. For 4 year old kids and older we offer full-day courses. AT WHAT AGE DO CHILDREN NEED A SKIPASS? Children till 5 years of age are riding free on the lifts. The lifts owned by the ski-school are free as well. Children above 5 years of age need a lift ticket. Please make sure to get the ticket before your child goes on the practice lift! You can buy all tickets at the lift station (Siegi Tours Discount). IS IT IMPORTANT TO GO TO THE PRACTICE LIFT? Going to the practice lift is the first approach to the slopes of the advanced skier. Only this way, kids learn to estimate speed and to recognize danger. Safety comes first! We only use the more advanced lifts, when all kids know how to ski. DO CHILDREN NEED SKI POLES? Kids in the ski kindergarden and beginners do not need ski poles. The instructors and the team in the rental shop will advise you. MUST CHILDREN WEAR A HELMET? Yes it is mandatory that children and teens till 15 years of age wear a helmet. The ski courses are mainly held in German and English. We also have Dutch and Danish speaking instructors. As it is difficult to offer all levels in all the different languages we ask for your understanding that we try to have the right instructors at least for the smaller kids groups. Skischool race will be on Thursday or Friday. The award ceremony will be at 4 pm, the ski instructor will tell you the details. 70 English speaking ski / snowboard instructors will give you first rate lessons in carefully graded classes. They are most competent in seeing that each participant receives the level of instruction required to advance his skiing / boarding technique. Looking for a great ski, board and party holiday? Siegi Tours is your #1 in Austria for winter holiday packages. comes to organizing family ski holidays! Siegi Tours has specialized in organizing ski / snowboard and cross-country packages for international ski & snowboard clubs, individual groups, travel agencies and special units.